A 5.6 kilometre day trek leads you through fir groves, sprawling grasslands, dense forests, small ponds, a mysterious cave and panoramic views. The beauty of "Karol ka Tibba" trek is that it fits this immense natural bounty in a short day trek. 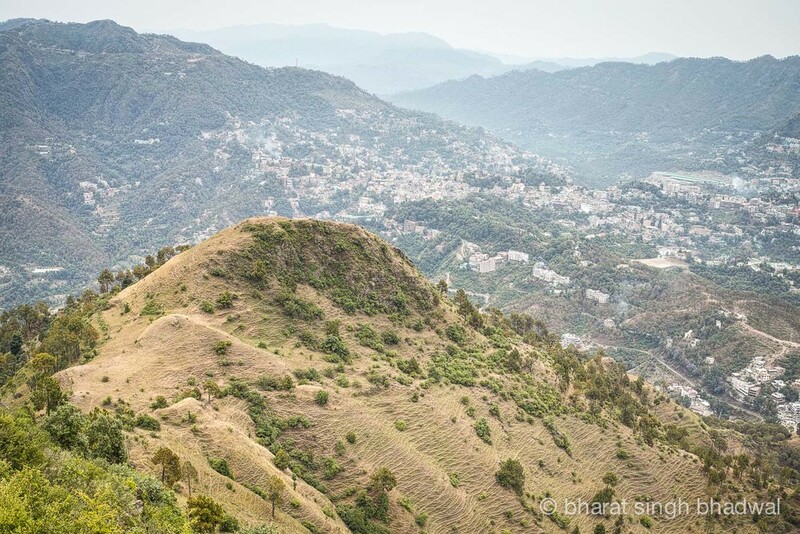 "Karol ka Tibba" is the highest hill around Solan town in Himachal Pradesh. In this trek we visit Karol temple; a temple dedicated to goddess Kali situated at the top of Karol Ka Tibba. The panoramic view from the temple is beautiful and panoramic. The trekking route also passes through the famous Pandava Gufa or Pandava cave, believed to be the oldest and longest cave in the Himalayas. The ancient Pandava cave near Solan has fascinated us for quite some time now. Myths and legends abound for this cave. Locals believe it to be the oldest and longest (around 28km) cave in the Himalayan region. They also believe that the Pandavas from Mahabharata lived and meditated in this cave during their exile. Owing to this religious connection, a temple is constructed beside the cave. 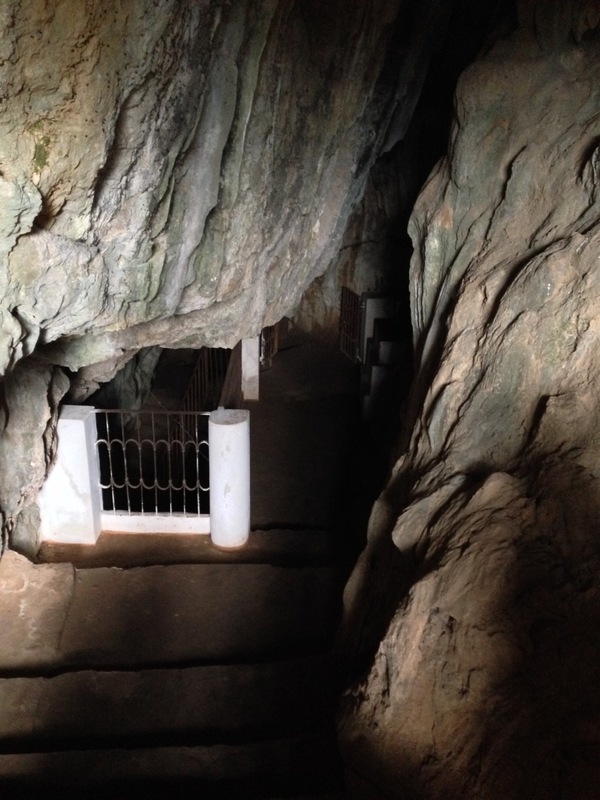 The other end of the cave is believed to be at Pinjore (Haryana). The cave itself is dark, damp and foreboding. 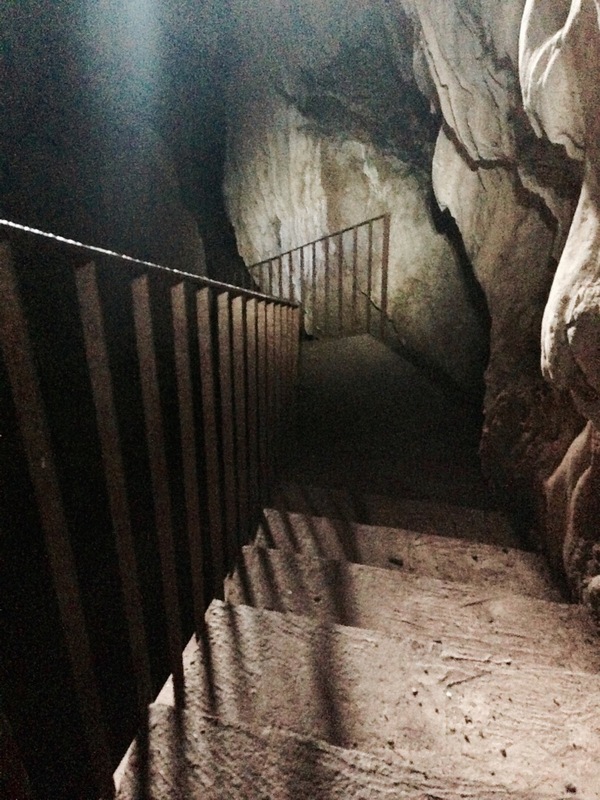 A few bats have taken up residence in the first cavern and their flutter adds to the spooky atmosphere. Exploring the cave can be a challenge because it narrows to a fissure after the second cavern. The fissure opens up in a small cavern followed by a low tunnel that is just big enough to allow one person to fit through. We had to crawl and scrape the walls to squeeze in but after a few feet we found our route blocked by some fallen stones. This turned out to be a blessing in disguise because we were woefully unprepared for a long round of spelunking. However, our disappointment at being unable to explore the cave was partially mitigated by the priest and his family, who in their kindness offered us some fresh home made "aate ka halwa". The sweet halwa coupled with the refreshing mountain air bolstered us for a quick 1.6 kilometre ascent to Karol temple. The trek starts from the Rani Laxmibai statue at Chambaghat. Chambaghat is a small suburb, 6 kilometres from Solan city centre on the Chandigarh Shimla National Highway. From the national highway, veer into a narrow concrete by-lane that houses the State Bank of India ATM and a Yamaha motorcycle dealer. A 100 meters along the concrete path you will pass a Gurudwara (Sikh temple) to your left. Beyond the Gurudwara the concrete path rises sharply as you leave civilisation behind and start a sharp ascent. After 500 meters the concrete path turns eases into a paved brick trail. This brick trail has a gentle slope and it is a welcome respite after the steep concrete path. The brick trail winds its way through a beautiful grove of fir trees and offers numerous viewpoints over Solan city. The brick path continues in the North Easterly direction for another 800 metres after which the trail turns to stone and dirt. Two hundred meters after the brick path there is a lone house along with a bifurcation in the trail. There is a sign along this bifurcation that points that the road to the left leads to Karol temple. Follow the trail to your left for Karol temple as directed by the sign. After the bifurcation you head east for a while as the path winds along the contour of the hill. Once you complete this turn you will see the Karol ridge straight ahead to your North. At this point you can choose to follow multiple approaches that lead up to the ridge top. As long as you move towards the highest point on the ridge, you are headed in the right direction. We have listed one of the most prominent and oft used routes in our GPS logs. The terrain is grassland interspersed with a few trees till the ridge top. The ridge top offers a panoramic view over Solan and on clear day one can view the Churdhar range as well. At the ridge top a broad well used trail crosses across the ridge and heads North. The north side of the ridge stands in stark contrast to the south. While the south is a grassland with a spattering of trees, the north covered with dense trees jostling for space. The trail meanders along a dried out pond and then enters a dense forest. From the forest it emerges into a small grassland next to a water pond and an old run down house occupied by a "sadhu". The sadhu is from Varanasi uses this house for his meditation. He is a pleasant fellow who loves to discuss religion and is quick to offer a cup of tea to visitors. Keep the run down house to your left and follow the trail into an even denser jungle along the side of the house. After about five minutes of walking this trail ends at a concrete water tank. Cross the water tank and arrive at Pandava Gufa situated next to a temple dedicated to Lord Ram. To visit Karol temple from Pandava Gufa make your way back to the water tank and find a well marked paved stone path that leads uphill. This 1600 metre paved stone path is a meter wide in most places and it is covered with fallen leaves and pine needles. Climb the trail as it winds uphill through a thick glade of firs and rhododendrons. There are no bifurcations and an easy thirty minute walk brings you to the Kali Mata temple at "Karol Ka Tibba". karol temple on "karol ka tibba"
Chambaghat is located on the busy Chandigarh - Simla national highway. You can rent an auto rickshaw for 50 rupees from Solan town. All busses plying between Shimla Chandigarh will stop at Chambaghat. Late night buses and taxis are easy to find. Another novel way to reach Solan is via the Kalka-Shimla narrow gauge railroad. Alight at Solan station and hire an auto rickshaw / taxi to Chambaghat. Hotels for every budget can be found in Solan. Usually windy in summers as this is the highest point close to Solan town. In winters this place gets its fair share of snowfall. At 2237 metres "Karol ka Tibba" is at an higher elevation than Shimla. Caution - There is no drinking water en-route, carry at least two litres of water per person. The trek route can be confusing at times so we recommend downloading and carrying GPS logs on your smartphone / GPS. If you plan to go caving carry basic equipment like: helmet with a chinstrap; three independent sources of light, two of which should mount on your helmet; reflective markers for marking the retreat; knee and elbow pads for crawling; extra water and snacks and some rugged clothing. Trekking poles help push brambles and thorny bushes away. View / download GPS route from wikiloc. Click here (opens in new window). View / download GPS route from Google Maps. Click here (opens in new window).